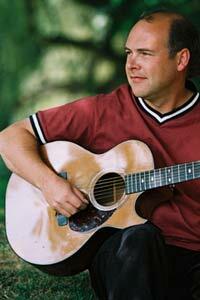 Based in Abbotsford, BC, Brian Doerksen has been one of the leading writers of contemporary Christian music over the last 20 years, producing songs such as ‘Come, now is the time to worship,’ ‘Hope of the nations,’ ‘Faithful One,’ ‘Refiner’s Fire’ and ‘Hallelujah (Your love is amazing).’ His Holy God CD was awarded the 2008 Juno Award for Contemporary Christian/Gospel Album of the Year. In part one of this two-part interview, Doerksen discusses his Juno Award and the place of worship music in the contemporary music world. CC.com: Your CD Holy God won the 2008 Juno Award for Contemporary Christian/Gospel Album of the Year. Did you go to the awards ceremony? Brian Doerksen: I did not, the reason being that months before I even knew I was nominated, I committed that weekend to look after my kids while my wife went to a women’s retreat in Colorado. CARAS [the Canadian Academy of Recording Arts and Sciences] put some pressure on me to be there. I don’t know if they know who wins, but they contacted me multiple times, and I just said I can’t break my commitment to be with my kids. I think I would find that world a little disconcerting. It’s a pretty dark world, saturated with a “Notice me” kind of spirit — which is the exact opposite of what worship music and what I do is. On the other hand, I am sad that I wasn’t there because I think you can be a light and a testimony in interactions with people. CC.com: What does it mean that a secular organization has given an award to a CD about the holiness of God? BD: That’s a good question. First of all, I would think that they were probably more looking at the influence of the music in a certain genre. I don’t think they would be paying that much attention to the lyrical content. I thought it was absolutely telling of the Canadian music scene that not only was my album, Holy God, nominated, but there was another one nominated that was [by a band called] Holy F—. You have profanity connected with the word “holy” and me singing it as an act of reverent worship. They released a compilation of all the Juno nominees before the event, and they included the one full of profanity, but they wouldn’t include my songs. It’s like reverse intolerance. They say Christian people are intolerant of this group and that group, but they’re completely intolerant [of Christians]. I think they include a project like Holy God simply because they recognize that there’s influence and there’s momentum there. I don’t know the exact numbers, but I can almost guarantee that I’ve sold more units of Holy God than the album they included, the holy profanity one. I’ve probably sold more units because there’s more people hungering for something wholesome than there is for that. The whole music business is a challenging world to try to be in and be unflinchingly yourself in your spiritual God-centred core when everything within the music business is about “art” — the more profane, the more sensual, the more controversial you are, the more attention you get. The whole thing baffles me, to be quite honest. I’m selling very strongly in the Canadian Christian music market, so there’s definitely a nod for that. How many people on the committee that chooses which albums get nominated actually stopped and listened to the whole thing? You’ve got to assume that they had to listen through all the possible candidates, but what happened when they listened? I don’t know. I would have loved to have some conversation with some of those people. That kind of thing makes me sad because usually when you present content like that, it does create some sort of response. CC.com: There has been some discussion in the media and in Christian circles that the most recent American Idol TV program had the contestants sing ‘Shout to the Lord,’ a straightforward Christian song. Would that happen in Canada? BD: I highly doubt something like that would happen in Canada. First of all, you have to understand that in the US there is a Christian-based culture/subculture. You have an enormous percentage of the population of the United States that would call themselves Christians, albeit many of them would probably be fairly nominal. They pride themselves that they’re a Christian nation. It’s culturally accepted. In their political debates, you have Hillary Clinton and Barack Obama getting on TV and talking about their faith. Canadians would just feel like freaking out. For Canadians, religion is private. Your expression of spirituality is private. So I would definitely not expect Canadian Idol contestants to sing a Christian song. CC.com: But there have been some Christian contestants on Canadian Idol. BD: Absolutely. One of the members of my worship team — from my local church, not my touring/recording band — made it to the top 50. When she started going through the process, I kind of rolled my eyes and said, “Only do this if you really feel strongly about it.” She said, “It’ll be fun. I’ll learn some stuff about performance and about music, and it will push me.” I said, “Absolutely, as long as you know what that is, that the spirit of performance is the complete opposite of the spirit of worship.” The irony for me about winning the Juno or winning any award is that I never set out to be a songwriter. I never set out to be a recording artist. I’m super shy. I don’t like performing. I just want to worship God, and part of how I worship God comes out in these songs, these creative expressions. I sing them for God. I don’t sing them for people. I don’t play the music business game. I’m not on the road touring all the time. Some of those things happen as a by-product, as an encouragement, which may lead to somebody who wouldn’t necessarily listen to my music listening to it. Great. But I’m not pursuing those types of goals. CC.com: Is there a spirit of performance that sometimes carries over from the world into churches? CC.com: Contemporary music isn’t the only kind of music that has performance. BD: I’m not totally now referring to contemporary music. I’m referring to every kind of music. In fact, some classical styles of music are even more susceptible because you remove yourself from the culture of today. The best music to lift people’s hearts and gather people in and give them an expression has to be a type of folk music. I lean a little bit away from ‘pop music’ right now because pop music is becoming so commercialized and so sensual. By ‘folk music,’ I just mean simple songs that people can sing together. Classical music and some of these other styles can be infused with the presence of God and the love of God, but they can also be totally infused with a spirit of performance. So much of classical music is about searching for the perfect performance of the perfect piece of music from Mozart or whoever, and in all of that striving, we lose our hearts. I’m sure we’ve all experienced both. We’ve all been in a church or gathering and we’ve been repelled by the feeling coming off the platform of performance, the noticeable hubris of it. And we’ve also experienced the real thing where all of a sudden there’s just an honesty, a transparency, and God is present, and we lift up our hearts to him. It’s an amazing thing. God’s people have always sung together. From the earliest moment that we see in Scripture God’s people gathering, they have sung together, and I believe they always will, even in heaven. Of course, there’s silence, there’s all kinds of things, but still there’s something about singing together. It gathers up our hearts and our minds and joins minds and hearts together in a way that nothing else does. So, we can’t say, “Oh, there’s negative things happening, there’s too much performance. Let’s throw it all out.” How about we just sing some simple songs together that are full of God’s truth? CC.com: Are you saying that congregational singing should be simple? BD: Absolutely, and that’s what I mean by folk songs. They’re songs that the everyday person can enter into and sing. Now, of course, one person’s definition of simple may be different from another’s. The thing is that if you really love a song, you’re motivated to learn it even if it stretches you a little bit. I’m not talking about dumbing down. I say to songwriters when I’m training them, “Simple and bad is very easy. Simple and great is very hard.” The best songs always have a simplicity, yet in that simplicity there is a depth. You start thinking about the best hymns that have stood the test of time — “My Jesus, I love thee, I know thou art mine” — they’re simple yet they’re full of depth, and they’re singable. People can enter into them and own them. That’s my goal as a worship leader and as a songwriter. I’m not saying it’s an easy goal to reach, just what we need to do. CC.com: Some songs are very complex nowadays, difficult for a congregation to sing. BD: One of the great gifts that I have in my life is I’m married to an amazing woman, Joyce. We’ve been married almost 24 years, and she loves God, loves to worship. She’s a very practical person, gifted in ways that I’m not gifted in. And it’s such a wonderful thing because she’s a great sounding board for me. I can get lost in my creativity, and sometimes I’ll bounce things off her. If it’s not connecting with her, I know there’s probably lots of other people that it won’t connect with. When leading worship in a church context, I want to be leading worship for the everyday person who isn’t a musician. It’s not about me showing off what I can create and sing. It’s about me serving those people who have gathered and giving them voice to express their heart’s cry. That’s been super helpful to me.